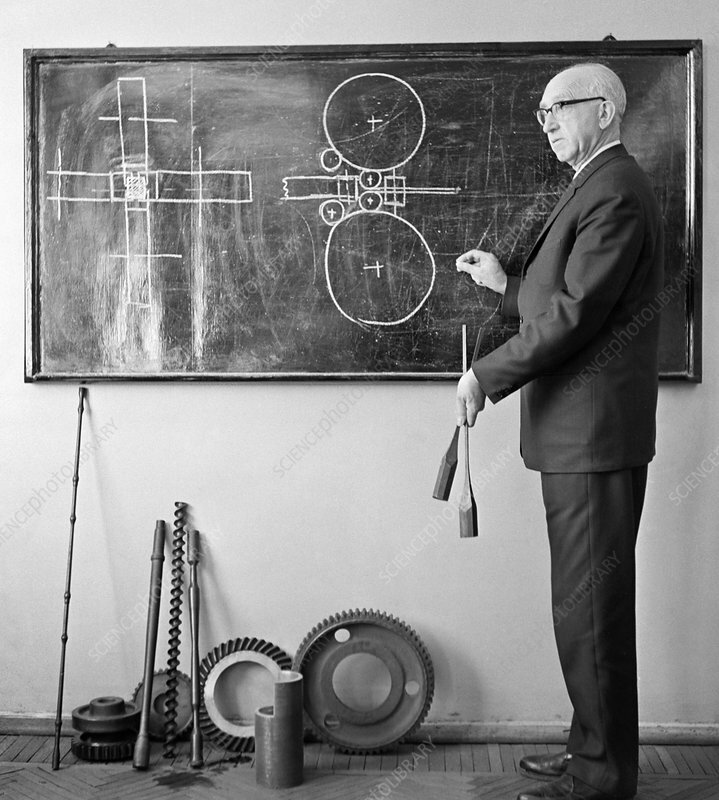 Alexander Ivanovich Tselikov (1904-1984), Soviet metallurgist, engineer, and director of the Metallurgy Research Institute, talking about methods for rolling metals. Tselikov studied at the Moscow Higher Technical College, graduating in 1928. He then worked in industry until he started teaching in 1935. He made major contributions to the theory and design of rolling mills used in industrial metal sheet production. He also founded the VNIIMETMASH institute in 1959. He was elected a member of the USSR Academy of Sciences in 1964. His awards include the prestigious Lomonosov Gold Medal (1974). Photographed in 1974, in Moscow, Russia. Model release not available. Property release not required.